Keon Gaston, 28, is charged with felony robbery after admitting he took more than $10,000 and left a trail of bills behind. A man who allegedly robbed a bank in South Portland, left a trail of cash leading out the bank’s front door and was reported to police by drivers of the taxis he used to flee the area will appear in court Friday. 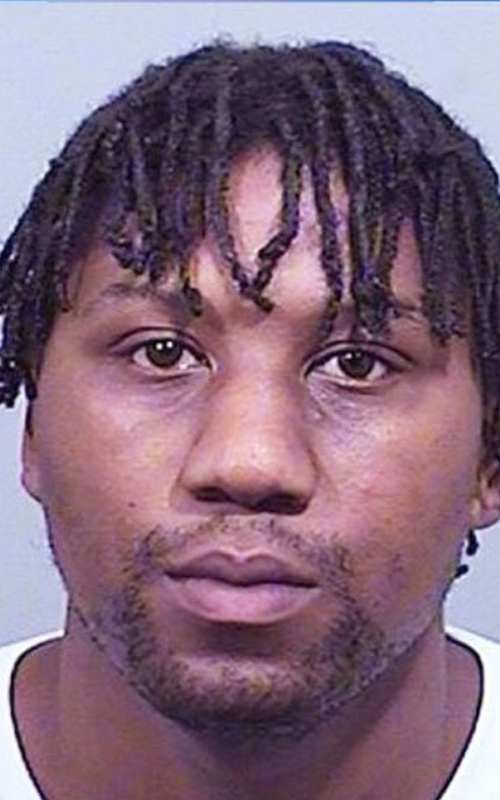 Keon Gaston, 28, admitted robbing the bank during an interview with South Portland police, court records show, and will make his initial appearance in Portland Unified Criminal Court. He has been charged with robbery, a Class B felony, and criminal threatening, a Class D misdemeanor. Gaston, originally from Oklahoma, said he was $13,000 behind in child support payments and struggled to get ahead working temporary low-paying jobs after he arrived in Maine about a month ago. On Monday, Gaston walked into the Town & Country Federal Credit Union on Main Street, according to court records. Gaston handed a note demanding cash to a woman seated near the door who was selling stamps, records show. But she did not understand the note was part of a robbery, so she directed Gaston to a bank teller, who believed he was a customer. The note demanded $125,000 in cash, and asked that tellers not sound the alarm for three minutes after he left. The tellers handed over more than $10,500 in cash, and Gaston, carrying the bills without a bag, left the bank, dropping bills as he went. According to police, Gaston hid briefly behind a home on nearby Ardsley Avenue, and then called a taxi. When the driver arrived, he found money on the ground and picked it up. According to court records, Gaston got into the cab and asked the driver to take him to Boston. The driver declined and instead drove Gaston to the Portland Transportation Center on Thompson’s Point. Gaston told the driver to keep the money he had found. At the transportation center, Gaston jumped into another taxi, but the driver, sensing something was wrong, told Gaston he could not take him to Boston and feigned car trouble, according to police. A third cabbie agreed to take Gaston to Boston for $270, but once they were on Interstate 95, he received a call from the first cab driver. Dispatchers then contacted the cabbie who was driving Gaston. The driver pretended to be on the phone with a friend, but gave indications to their location on the turnpike as he spoke. When the driver saw a Maine State Police trooper parked along the way, the driver pulled over and got out of the cab. Troopers and police quickly arrested Gaston, who was still counting the money in the back seat. Gaston told Levesque that his child support debt was going to get him locked up for more than a year, so he fled to Portland, where he could earn more per hour.